As hard as I try to like them, I really have issues with double spring wire plate hangers, especially since one just left a crack in my Lena Corwin plate. So I've been on the hunt for something that won't scratch or crack my precious Lena melamine and I found a solution that really works for me. 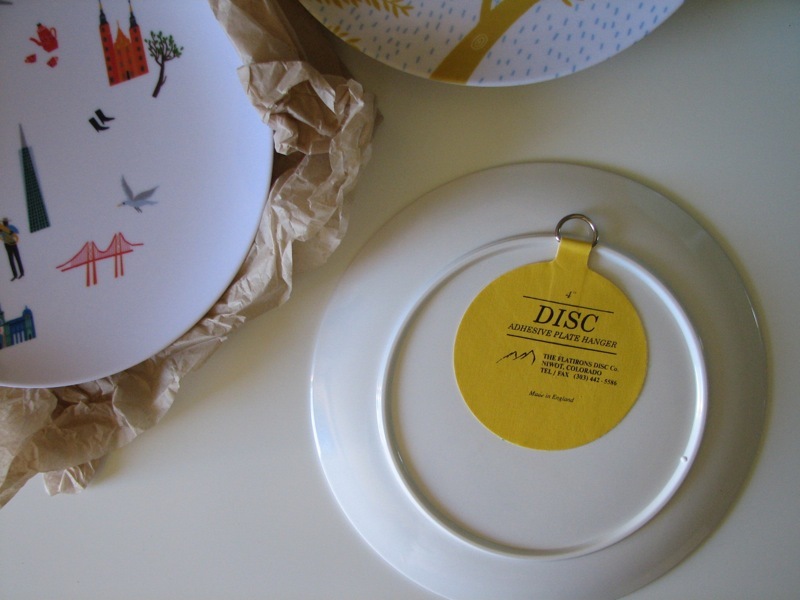 Did you know that adhesive plate discs exist? 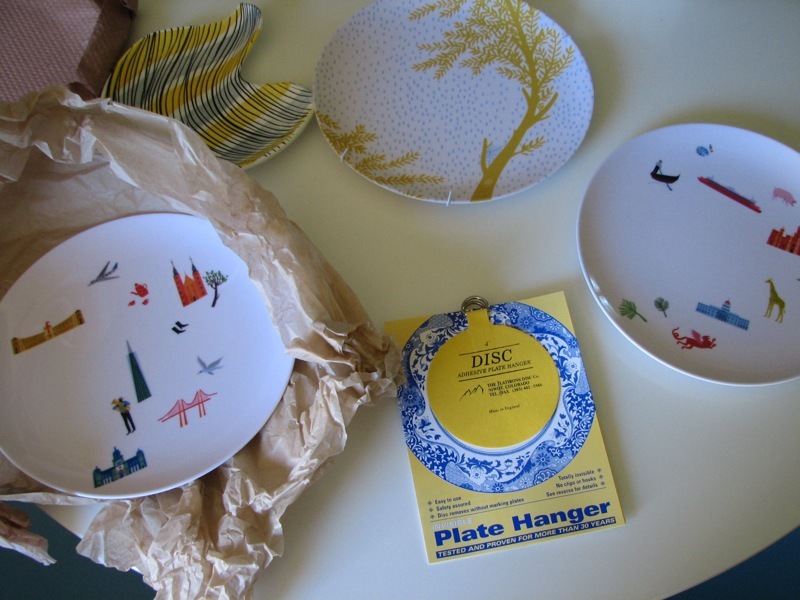 They stick to the back of your plates and when installed, no hook or holder is visible. Perfect! They're imported from England and available at your local A.C. Moore for $3.99 each, where I purchased mine yesterday. What happens in the future when you want to remove them? Just soak the plates in warm water and the disc loosens and you can simply peel it off. They come in all sizes, can be trimmed to fit, and the larger disc can support a 6.5 lb plate. 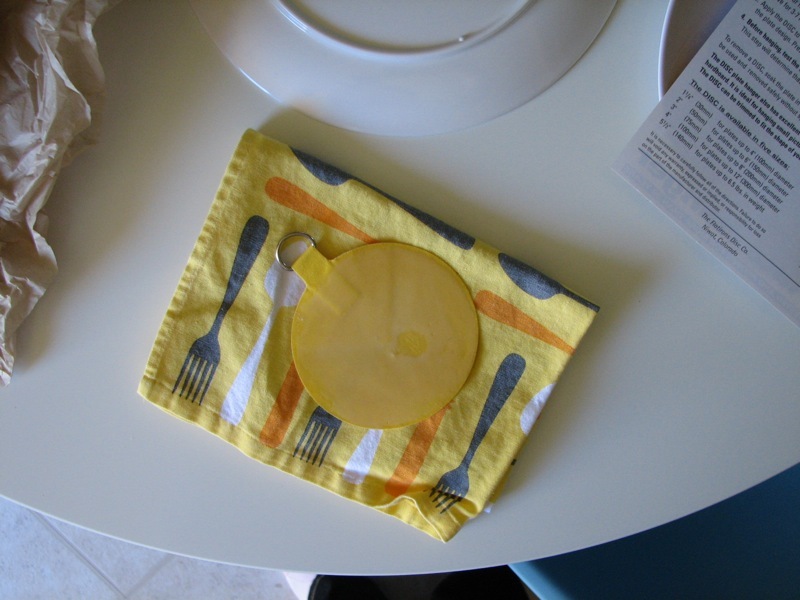 Since the instructions on both the disc and the web do not make mention of using them on melamine, I decided to experiment with things myself to see if the disc would stick to a plastic plate. After allowing the glue to dry overnight, the discs are bonded to the plate and I have no concerns about them separating. Of course, I also used clear duct tape over the disc to secure them, just in case the disc adhesive isn't enough. You simply wet the disc and rub the glue around with your finger. Then you position it on the back of your plate. Next use CLEAR duct tape and secure over the disc and plate on the back. Wait 24 hours and you're done. You can hang them on your wall. I think these discs answer a question I've had since viewing this image in Living Etc. ages ago - how did they install them? It looks like some have wire holders, others do not. The image isn't clear enough for me to see. But I know this for sure, I would prefer to do things my way - no visible holders. 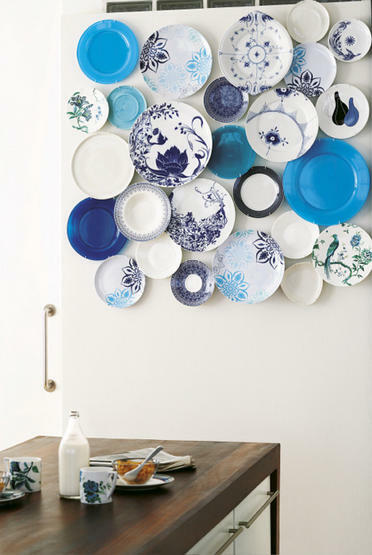 And though I can't be sure, I'm thinking it would be easy with these disc plate holders and a few tiny wood blocks (from the craft store) in varying heights painted the same color as your walls, screwed into the wall, for the lovely three dimensional effect.